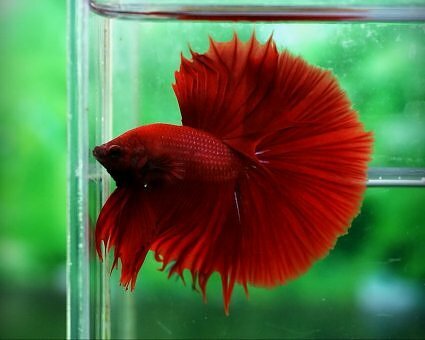 This page is a reference for common color types and variations of bettas. 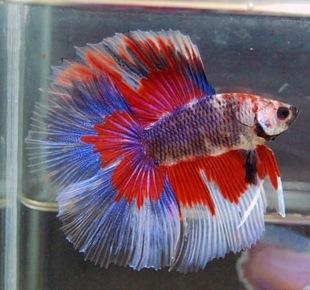 This is a patterned fish. 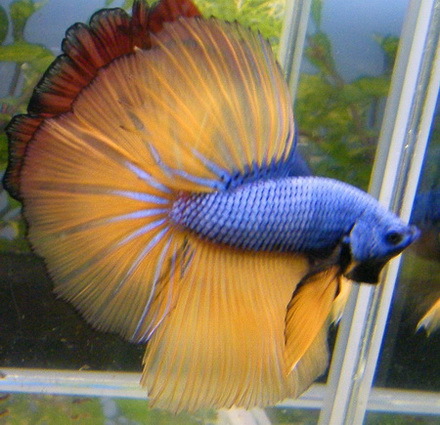 Body can be any solid color and then the unpaired fins have two or sometimes three color bands. 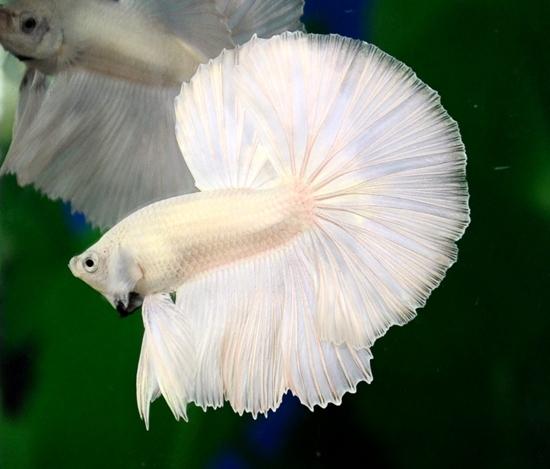 Typically the body color is in the fins close to the body and then another color, such as white or clear is the outer band. 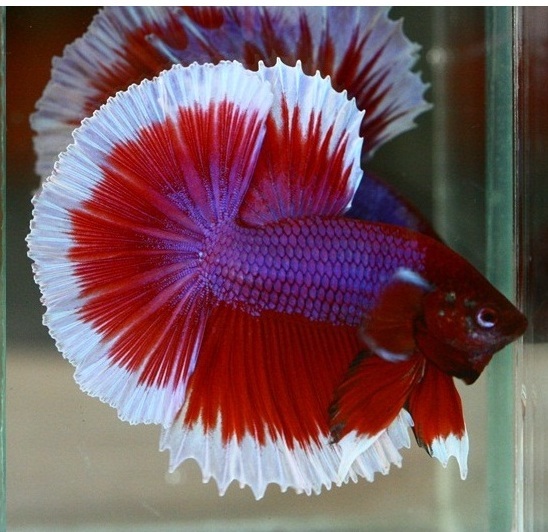 Ideally the color split is 50/50 with two colors or if three, each color band should be 1/3 the total of the fins. And in really good Butterflies the line dividing the colors is solid and distinct. Having one of the band colors bleed into the other color will be counted as faults in the show ring. 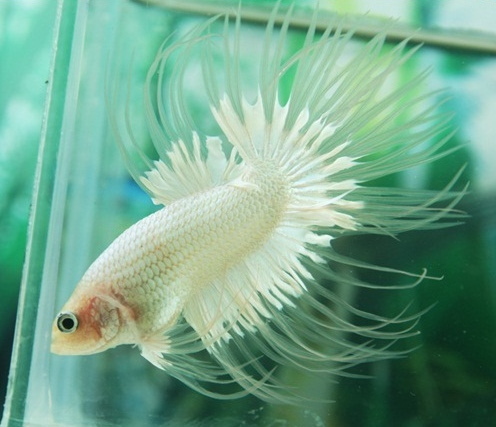 This is also a patterned fish. 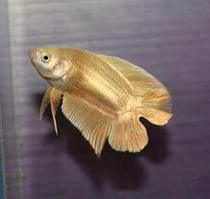 Typically you have a dark fish that loses part of it’s coloring in spots, much like a pinto pony. The first marbles were black and white but are now available in every color imaginable. The marble pattern is extremely variable, often changing daily. 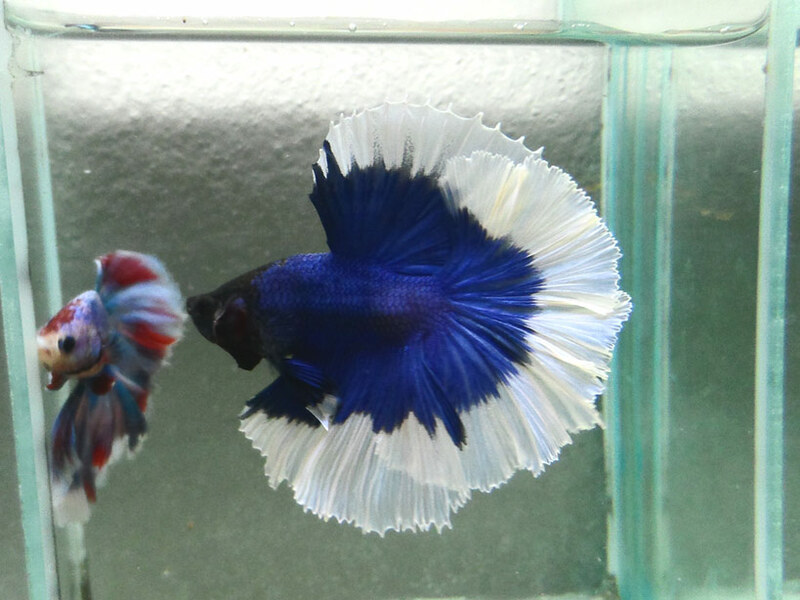 Use care when introducing marble into a solid line. 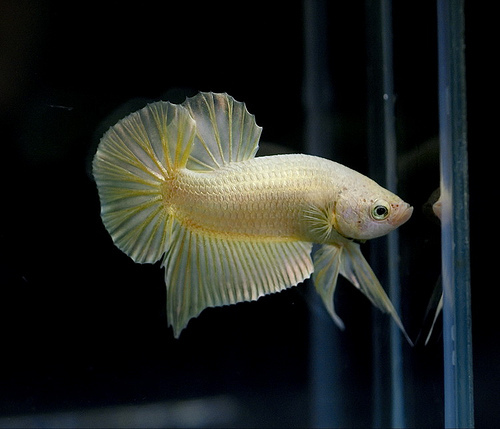 The marble mutation [marble (Mb) gene] appears to be a partly dominant gene, and it has highly variable expression. 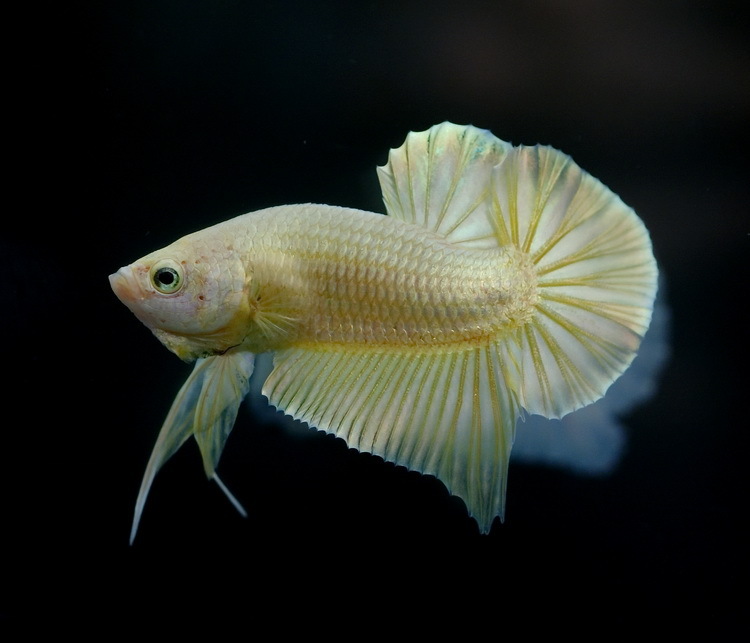 Introducing this gene into a true-breeding solid colored line will make it very difficult for the breeder to return their stock back to a true-breeding solid colored type.The ideal marble has about a 50/50 split between the light body color and the darker color over the top. 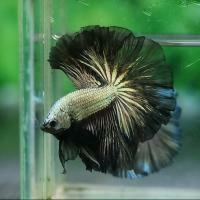 And the pattern should be present in the body as well as all fins. 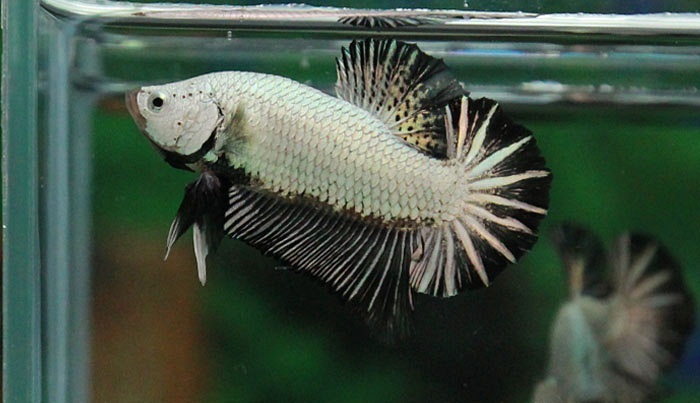 A marble body with white fins would be penalized as would a fish that has a dark color not much darker than the body color. Yellow marbles would not show well because of the lack of contrast between the colors. 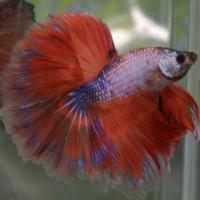 Most marbles are two colors though today many are breeding for more than one color. 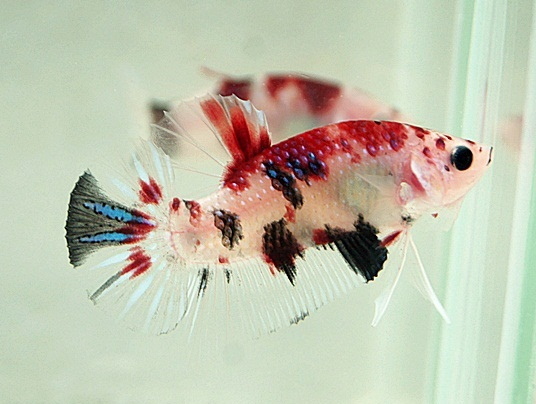 Those with three colors are still called marbles but now they are often referred to as Koi.. see next. 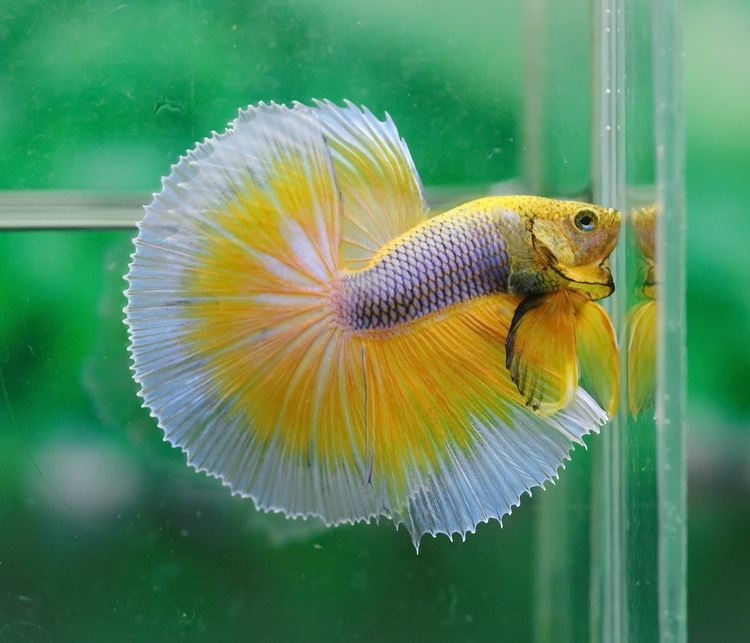 This fish shows random flecking, spotting, or peppering of any iridescent color over a pastel or opaque body iridescent color over a pastel or opaque body. 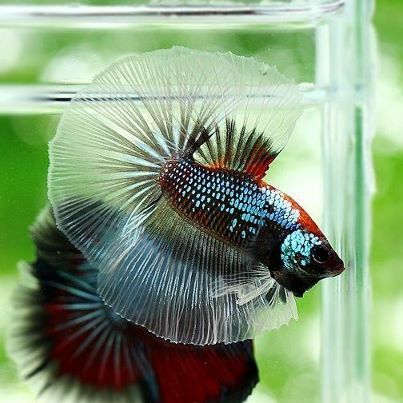 The body and all fins should show a swirled or paint brush stroke effect of color on all of the unpaired fins. 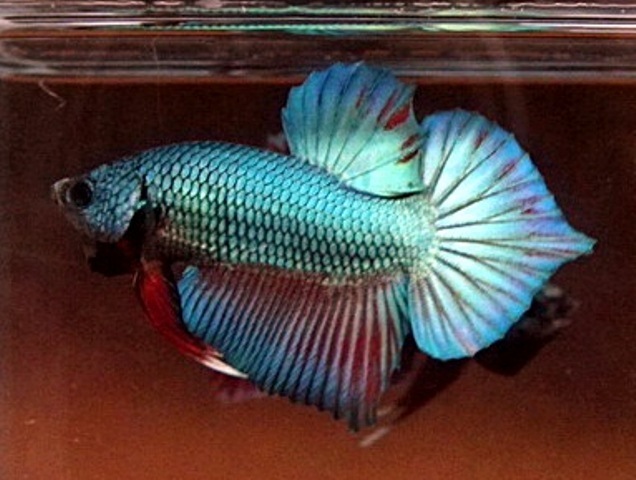 There should be two distinct shades of the iridescent color. 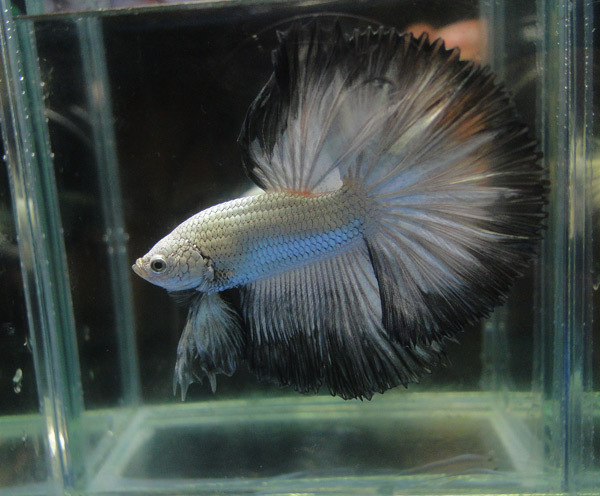 There should be an even distribution of dark and light coloring so there is a 50/50 ratio. This color created a sensation when first introduced and is a favorite among many.A deep and rich copper is desired but it can range from light to dark shades. 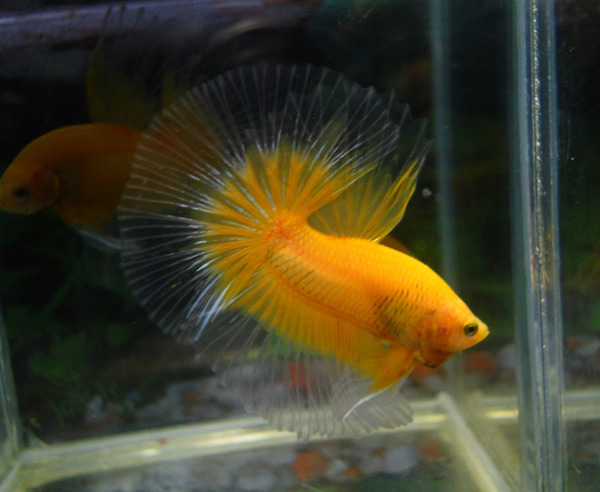 When a flashlight shined onto the fish you will see a wide spectrum of colors shining back at you. There will be variations of purple, turquoise, blue and a pinkish purple. Good coppers are truly beautiful. 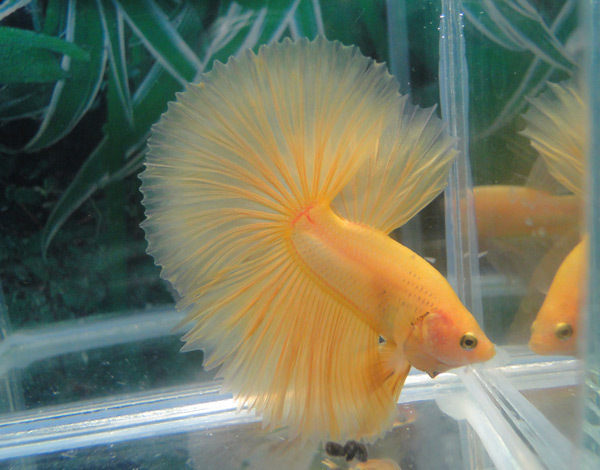 Evenness of coloring in the body and fins is preferred. 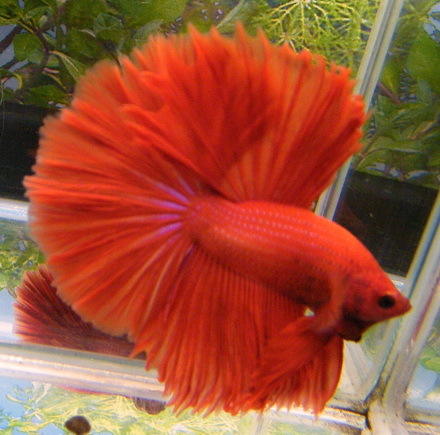 Red wash in the fins will be penalized. 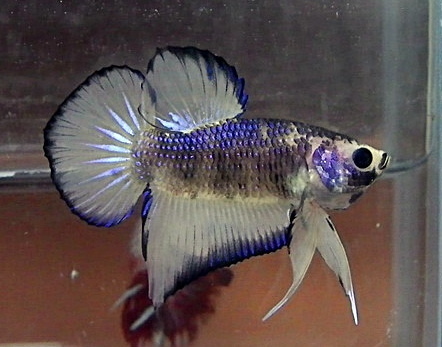 These fish are genetically steel blue fish with a metallic color over the top. 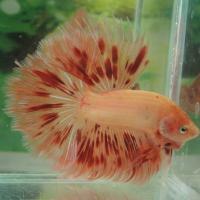 So breeding a copper to a copper will give all coppers. 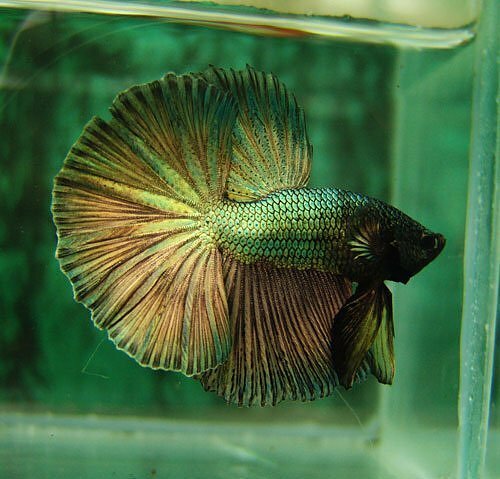 The Metallic color is caused by yellow-reflecting chromatophores covering the body and fins of a fish. This covering can be over any color. 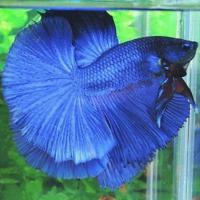 Royal blue fish become shinny blue to turquoise. 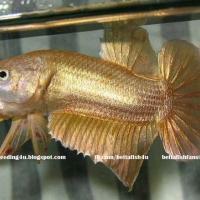 A metallic covering over lighter body colors may be called platinum, gold or silver. 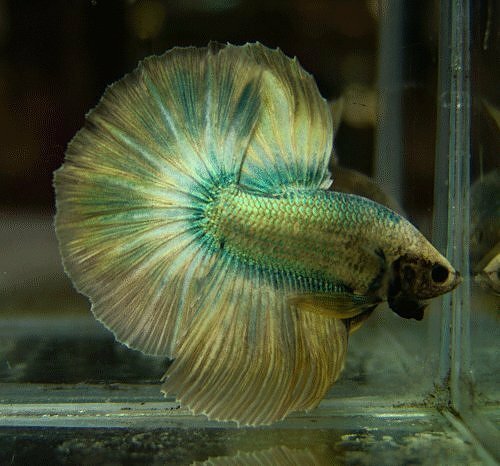 If you look at the iridescent colors [blue/steel/green] you will see the color does not cover the top of the head. 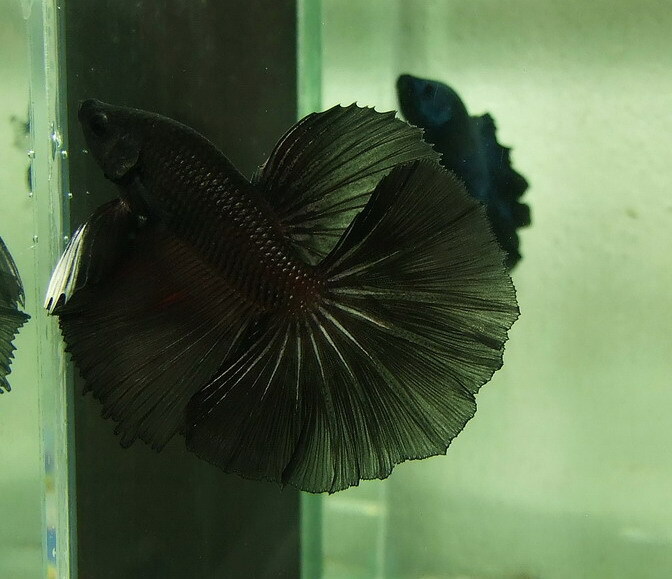 In these fish their heads are black. 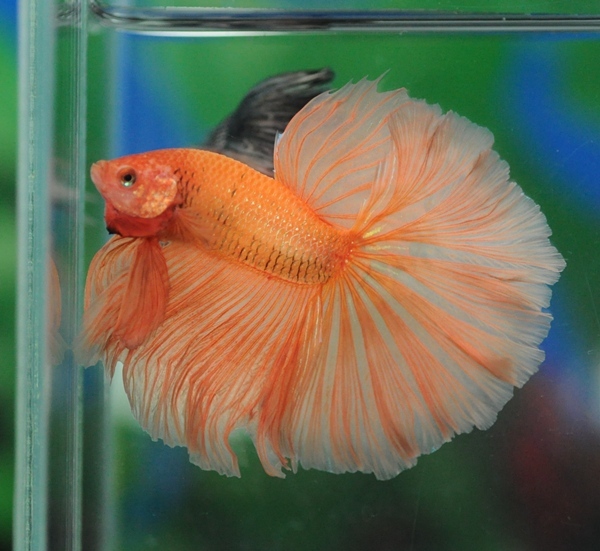 Breeders are trying to breed more color into this area. 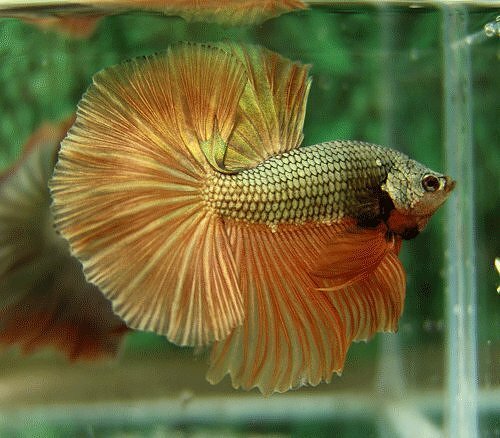 In contrast, Metallics often have their head the same color as the body. This full color covering the head is called a full mask. 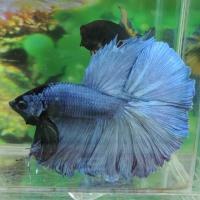 Another newer color that has created a stir in the Betta world. 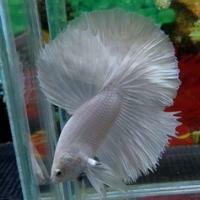 A heavy thick build up thick of silvery/white metallic layers of that almost resembles armor are called Dragons. 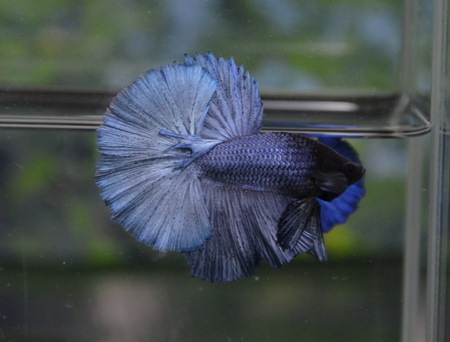 We are also starting to see this Dragon look in a blue color. Fish should have full metallic mask. A good Dragon will be completely and evenly covered with the Dragon scales. Lighter areas or areas missing the heavy metallic covering all together are a fault in this color. 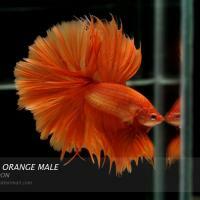 These fish often are shown in a bicolor class, so good contrast between body and fin colors will make them competitive. 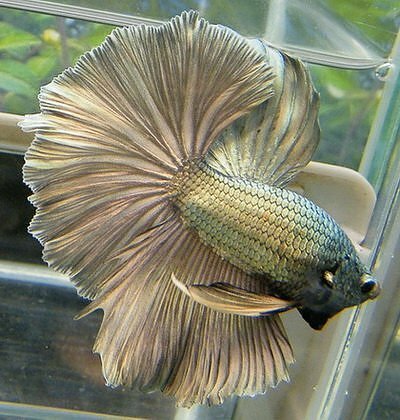 If the coloring completely covers the fins they could be shown in the metallic class. 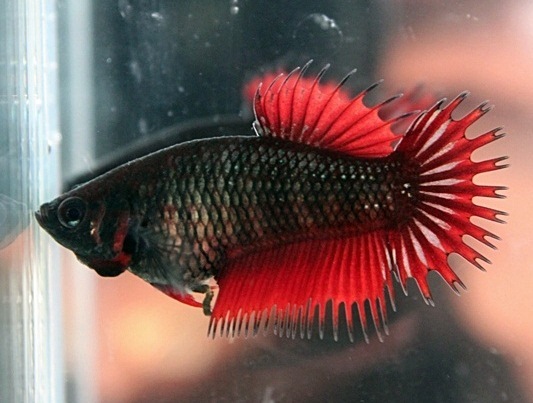 The breeders goal is a true, deep and dark, pitch black coloring. 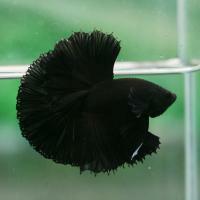 Ideally it will be a “mollie” black color. 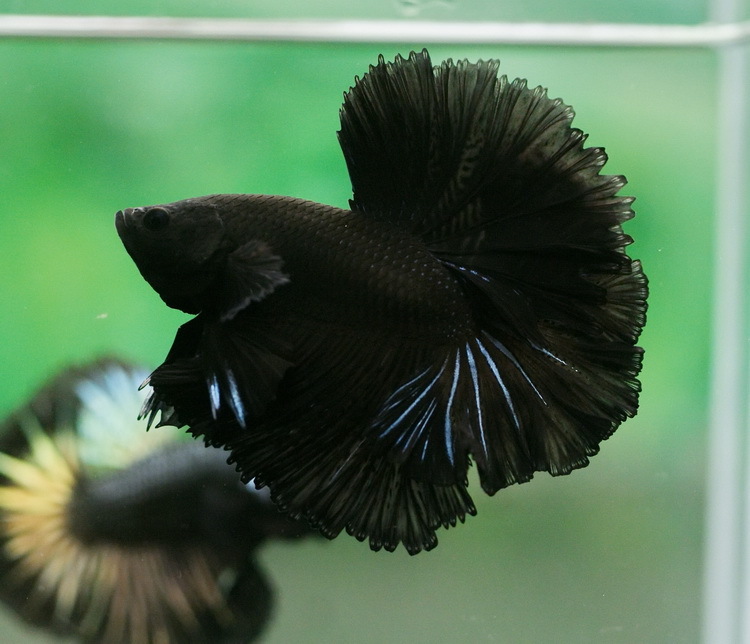 This is a mutated gene that causes the black pigment to have an increased coverage area (melanism). 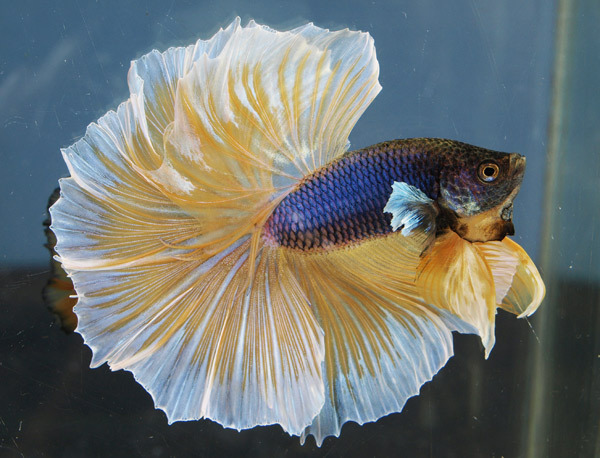 Any iridescence is faulted. 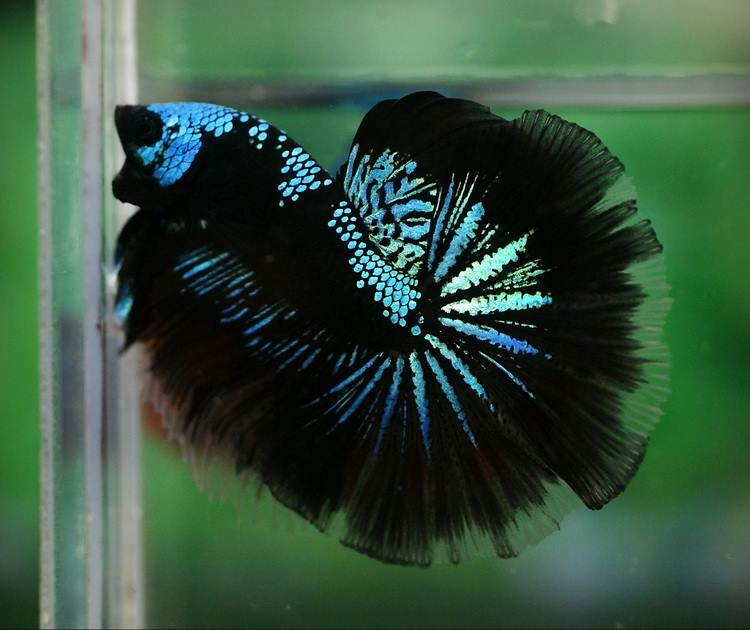 The blue bodied, black finned fish, often called melano when offered for sale, are actually bicolored fish and would be heavily faulted. 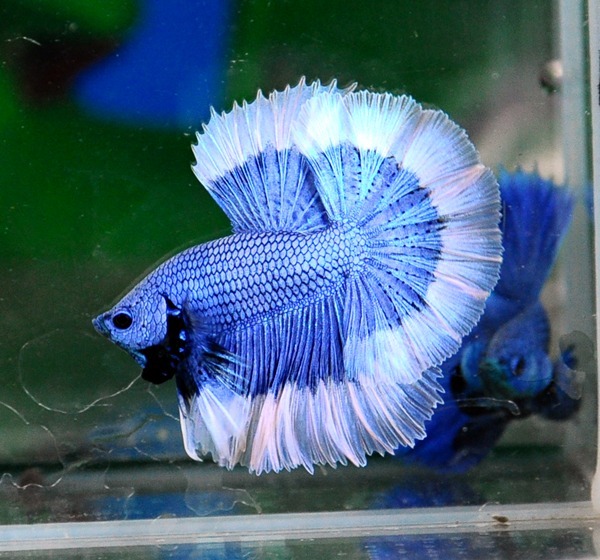 Pictures showing the blue bodies are fish typically advertised as Melano, and they would be moved to Bi-Color classes or faulted to the point of not placing in competition. A good true black is difficult to come across. 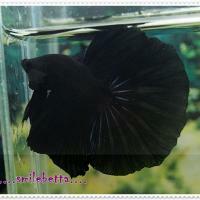 We will include photos of both types of blacks here as they are often both classified as Melano. 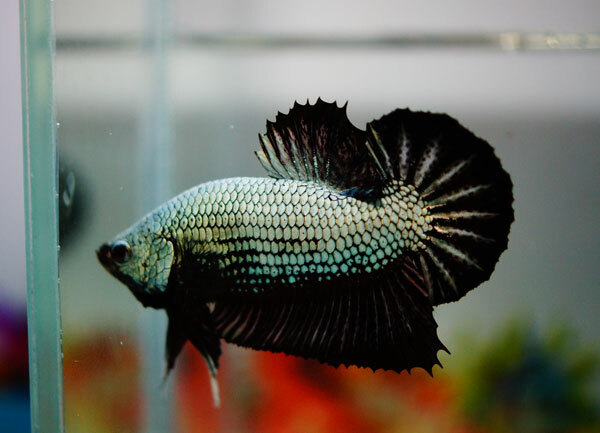 Remember when purchasing stock or evaluating your own fish, you want the deepest black with the least iridescence. 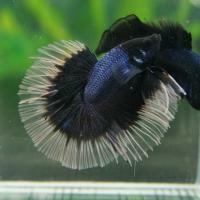 Black melano females are infertile making this a difficult color to work. One must cross in other colors to get viable young. 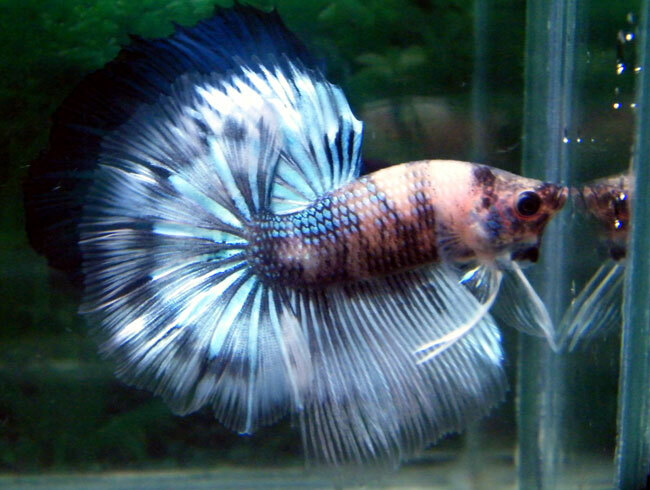 The most common cross is to steel.. and that gives the iridescence that one sees in the Black Bettas of today. A black developed around 2003 that is a combination of True Black and Black Lace. 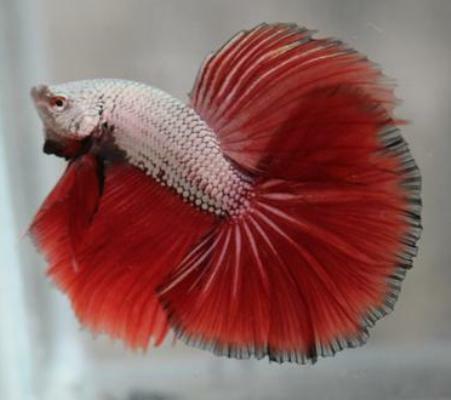 This color gives “melano” females that are fertile. 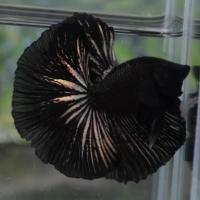 This is basically a black fish, dark and almost black, but with a lot of iridescence in body and fins. 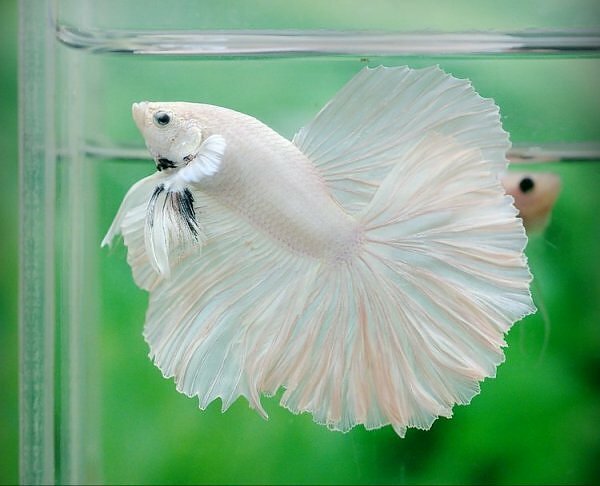 The ends of the fins are clear or cellophane giving them the look of lace. 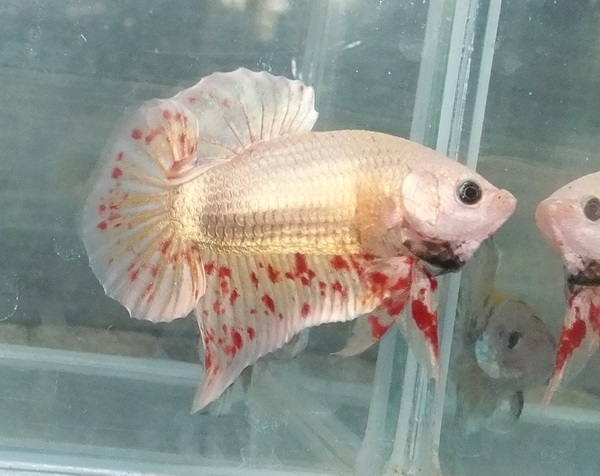 This coloring comes out of marble strains. 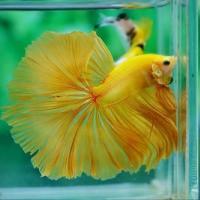 These fish are not competitive because of the iridescence in show classes. 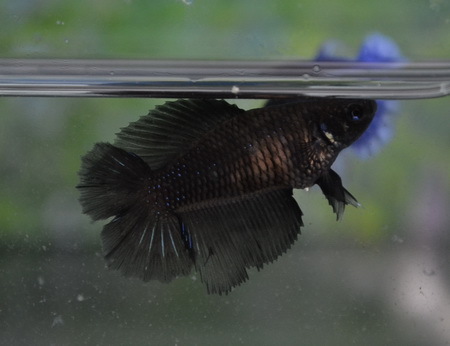 Though not ideal for showing, the females in this color are normally fertile and often used in breeding for black. 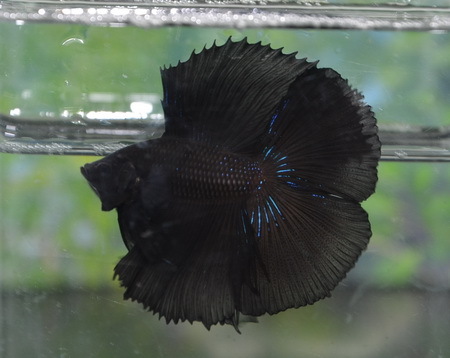 This color is recessive to normal dark color. 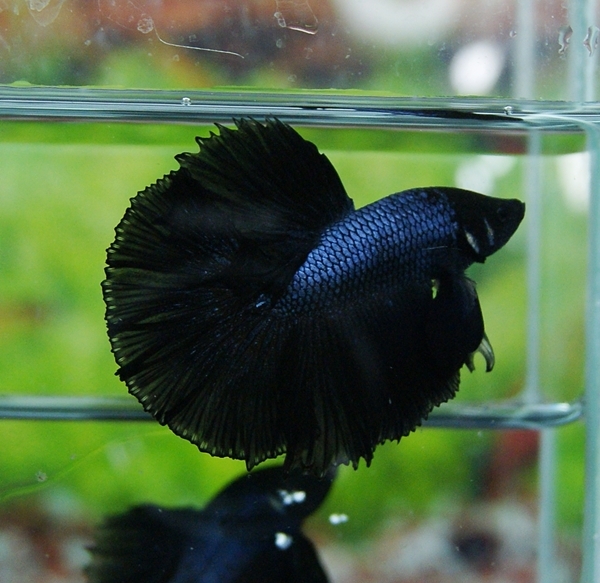 Though an attractive pattern in Bettas, this type of black is much less desirable than the true Melano Black. 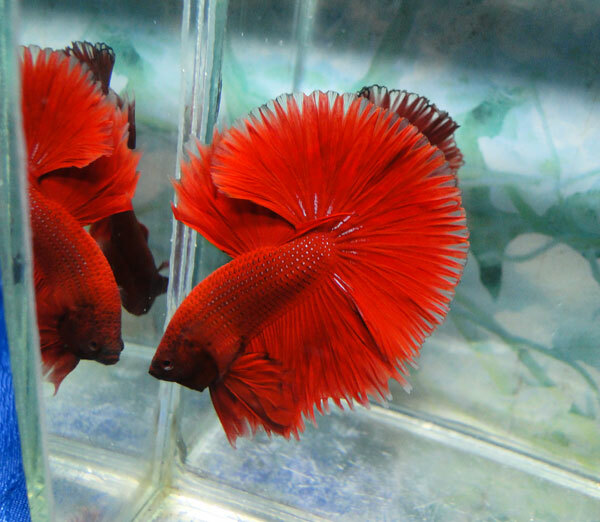 This is also a bicolor fish but the body is flesh colored and the fins are deep red. 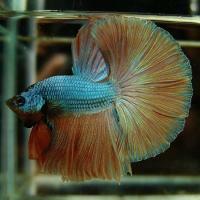 This color was popular many many years ago with male veil tails often coming in this coloring. But with much of the cross breeding in recent years, this color is not as common and you rarely find males like this any more. 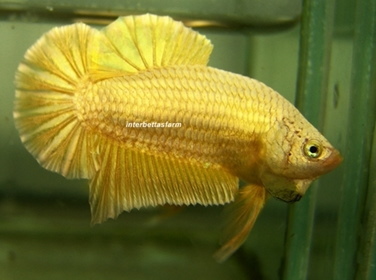 Females often show up in spawns but are often lighter red bodied rather than a pale flesh color. 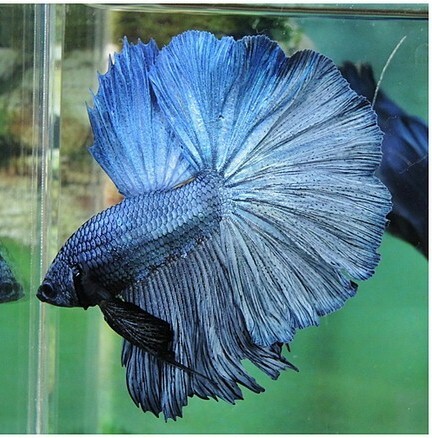 There is currently interest in bring this color back. 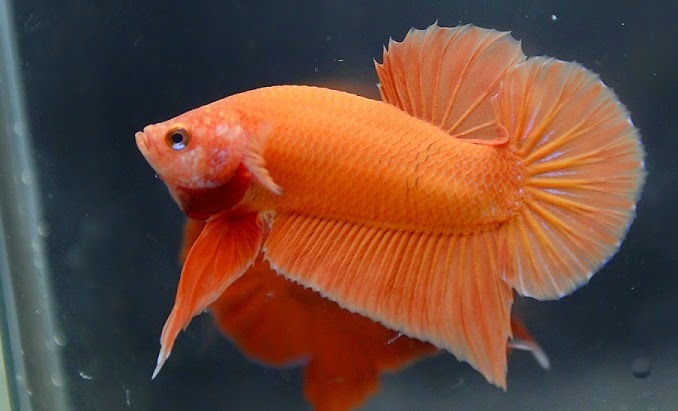 These fish have one color on the body and all fins a different color. 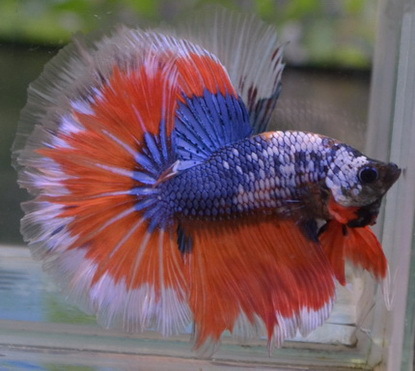 Good bicolors do not have the body color bleed into the fins. 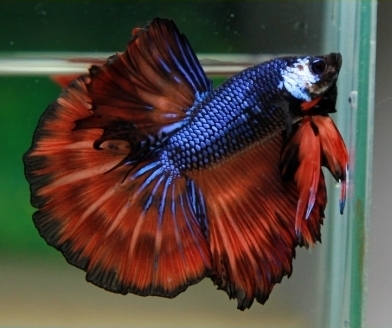 To be a good bicolor in a show you also want the colors to be high contrast. 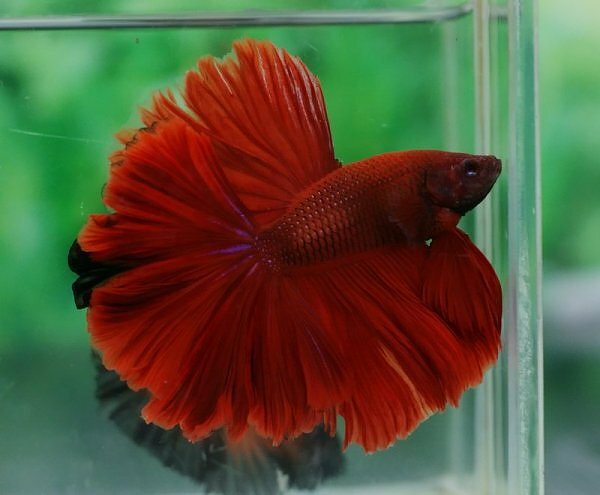 Many people love black bodied fish with deep red fins. 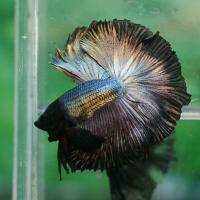 Though beautiful the contrast is not great and these fish will not do as well as a blue bodied fish with yellow fins. 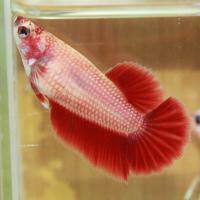 Fish that have the Red Loss gene will have their red coloring disappear as the fish matures. 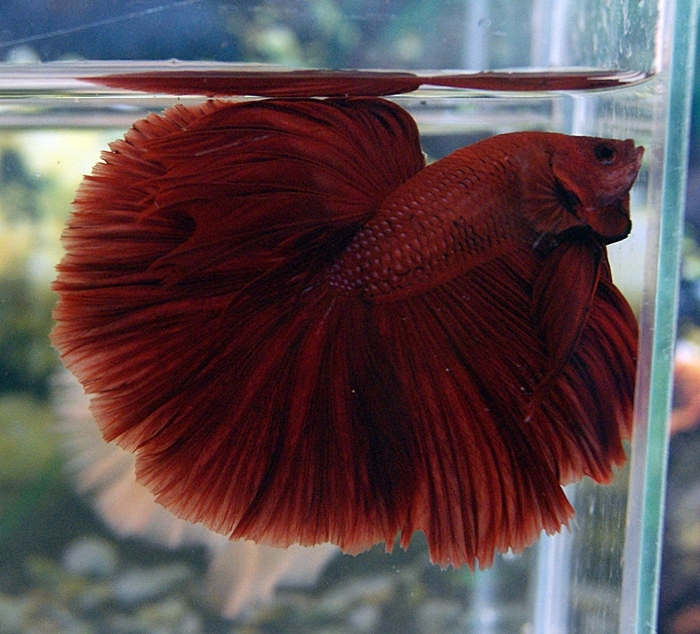 Old age or fin damage may cause the red color to sometimes return. 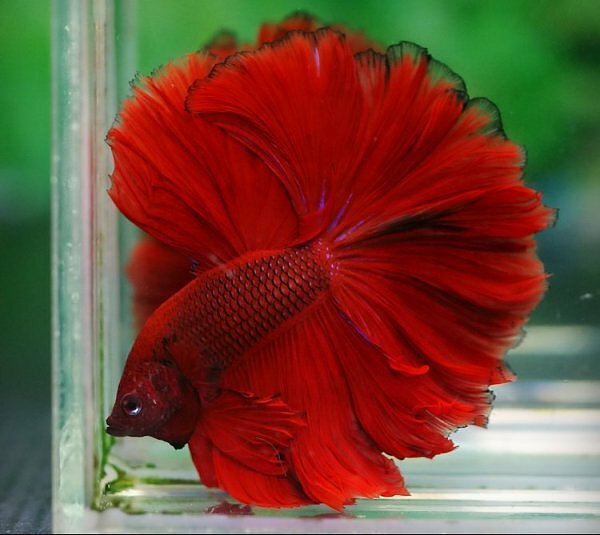 It is commonly thought that the red-loss mutation was introduced together with the marble mutation because most marbles do not show any red. 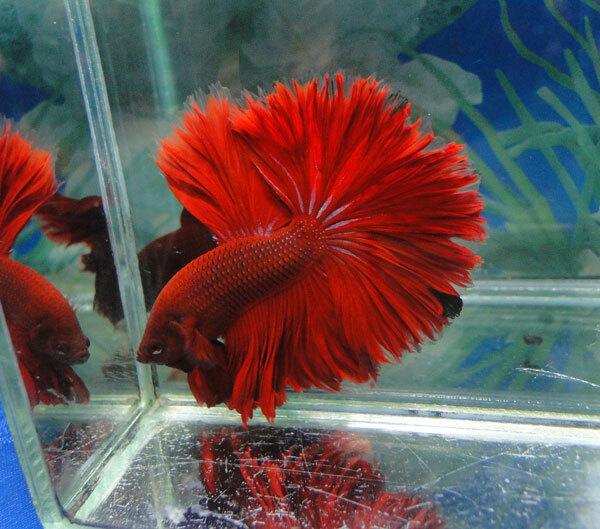 This red-loss trait is caused by a distinct gene that is different than the marble gene. 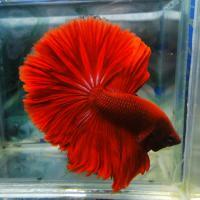 It is dominant over all other Red genes, except extended red and is extremely variable in its expression. 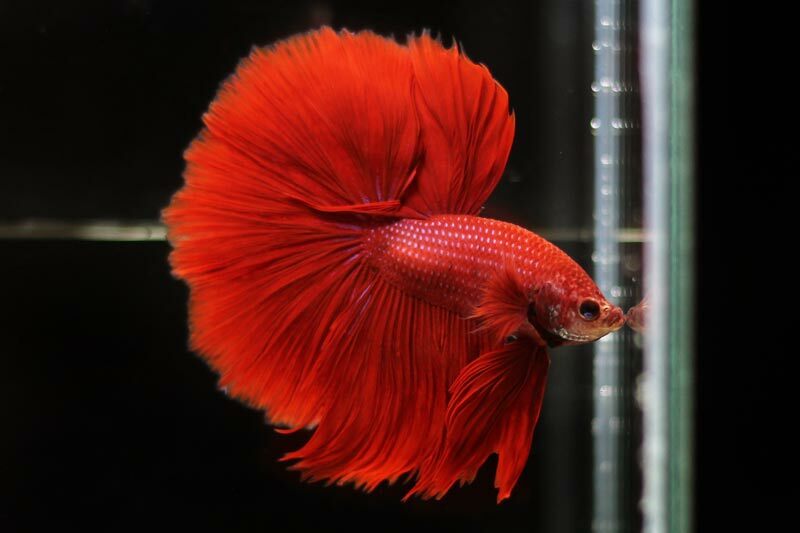 A deep brilliant red. 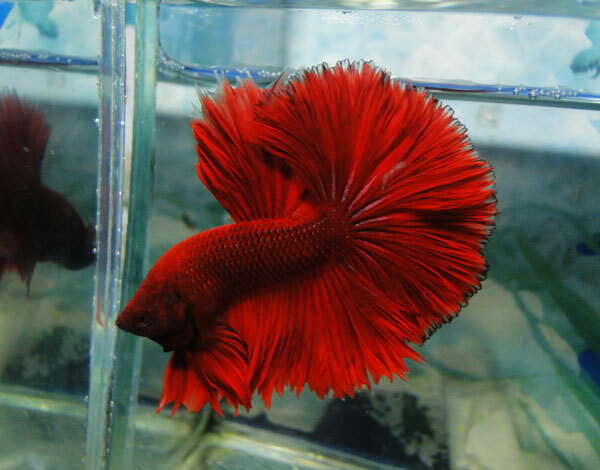 You want to see the red as an even shade in both body and fins. 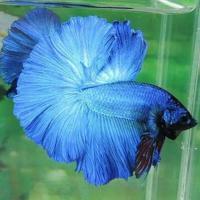 This color is a non-iridescent and non-opaque so the appearance of either will be faulted. 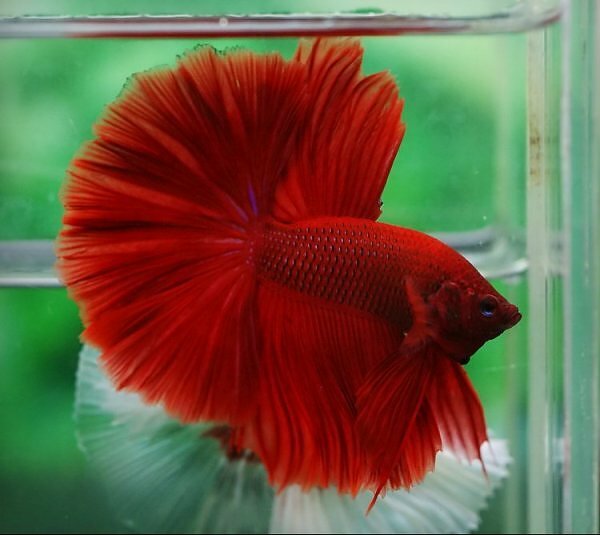 When the red pigment is increased in density and distribution it is called extended. 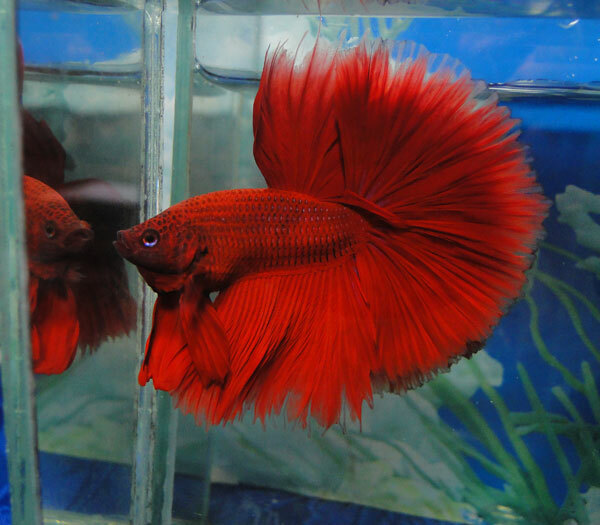 The extended red (Er) mutation is dominant over the gene for normal red color (R). 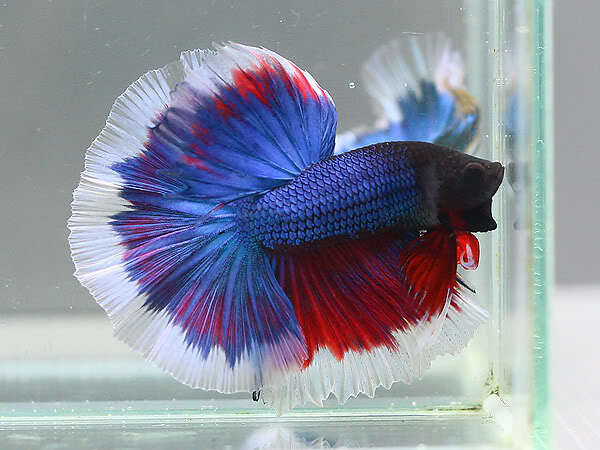 Many Asians use this title to refer to any betta they produce that is red, white, and blue (the colors of the Thai Flag). 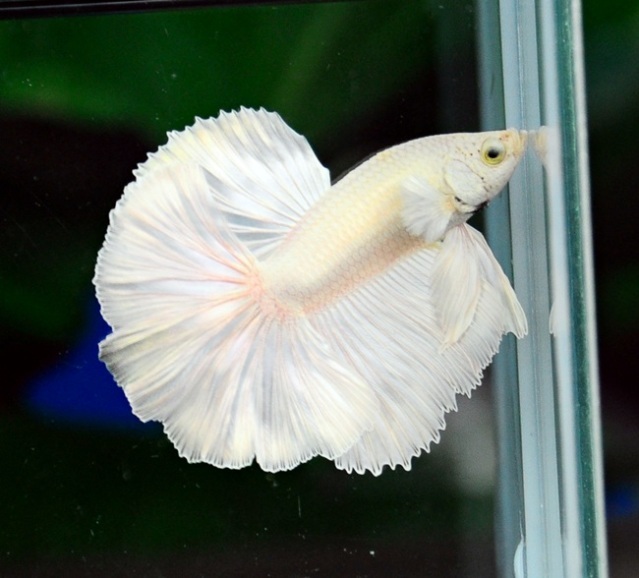 However, the originator of the name, Atison Phumchoosri, used it to describe a very specific three-banded BF pattern he created on a white body. TodayThai Flags have a grizzle type body. 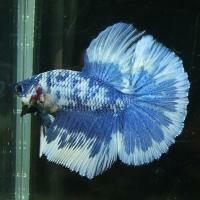 It can be dark blue with some lighter shadings or more light with hints of the blue colors. 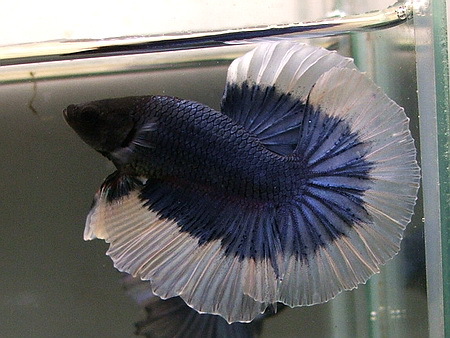 Then the fins have butterfly pattern banding but the edges between the colors are not sharp but more smudges. The bands will be red, white and blue. 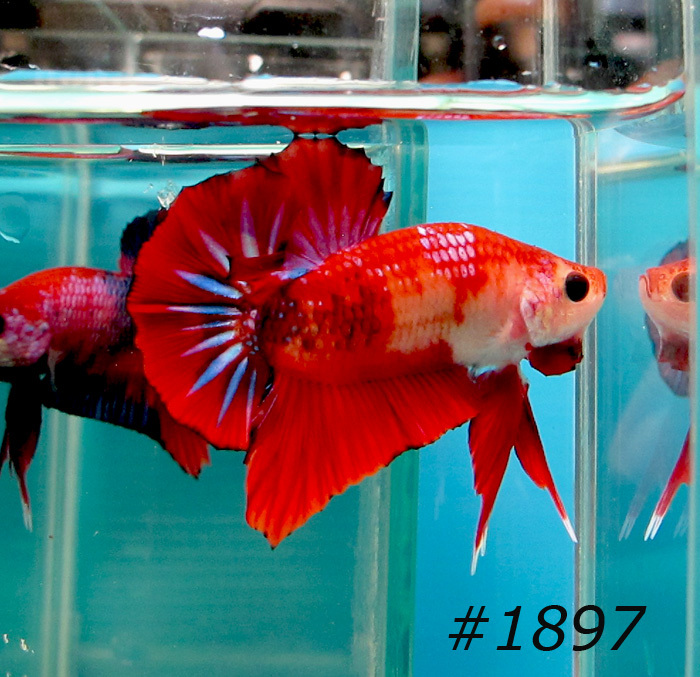 This is a fairly new color that is being seen as established in 2012 and they are considered Multicolor. Deep rich tangerine orange is desired. 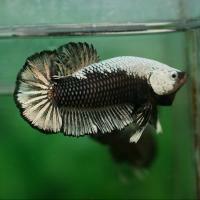 Faults would be black markings on body or fins. 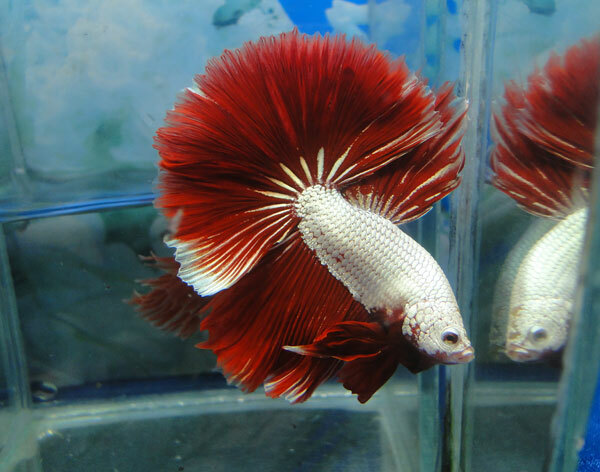 What about beautiful bettas that do not fall into an established category? Or the one of a kind truly unique ones that come along from time to time. We are going to add them to this gallery so every can enjoy their beauty for years. 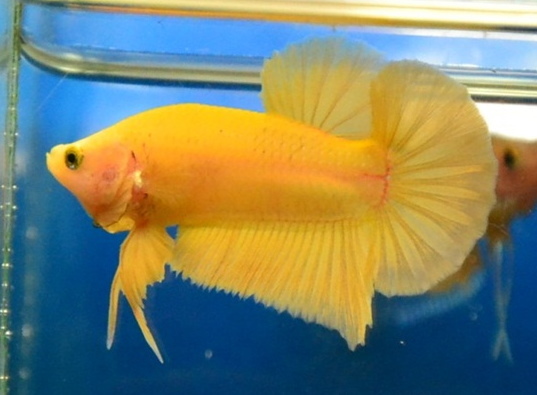 A fairly recent development in color, Golds are a beautiful metallic yellow. Sine these are metallics they would be show in the metallic classes at shows. 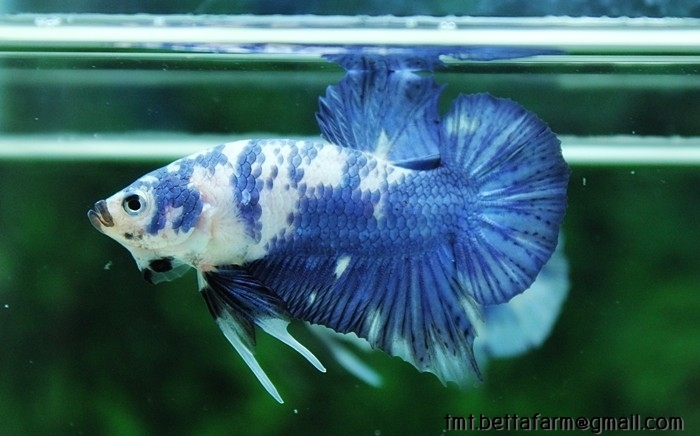 This is a fairly new color and as such we don’t see the consistency in form or color. 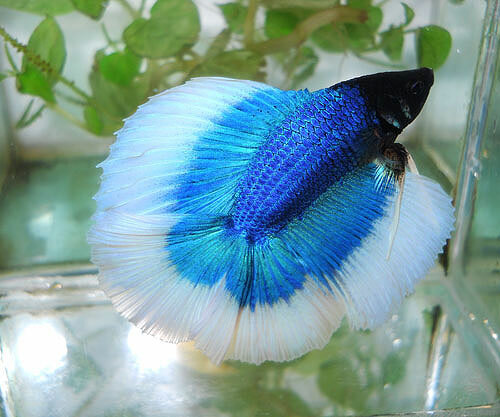 But it is an exciting new pattern we are seeing in bettas. 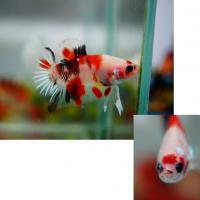 The fish has splotches of color that resemble the spots found on Dalmatian dogs. It is like marble but the pattern is definite spots of color instead of patches of color. We see this new pattern in red as well as black.